The celebration of Pakistan Day was held in Moscow. 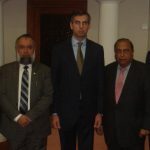 Zahid Ali Khan, Alamgir Bashar Khan Babar, Sergey Mikaelyan. 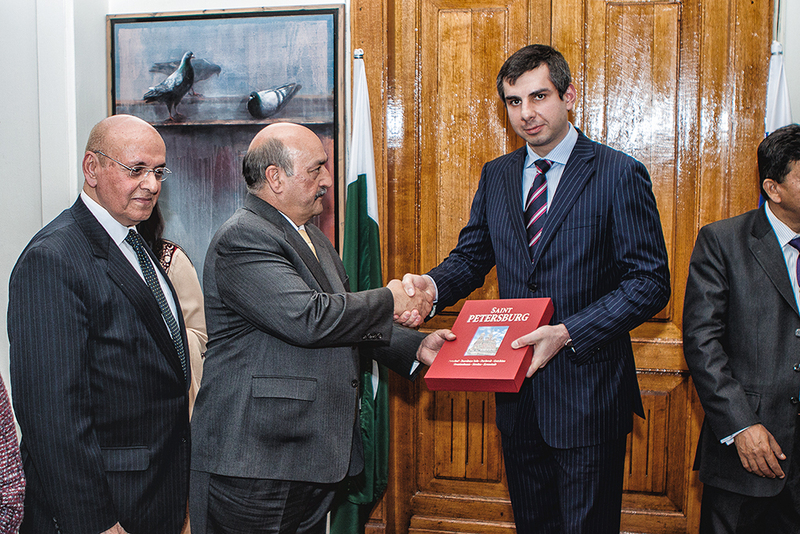 The celebration of Pakistan Day was held at the Moscow Embassy of Pakistan, on March 23, 2013. 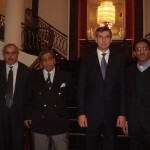 At the invitation of Pakistani Ambassador, His Excellency Alamgir Bashar Khan Babar, the event was attended by the Chairman of Russian Business Council for Cooperation with Pakistan Mr. Gennady Seleznyov and the Director of Saint-Petersburg branch of Business Council Mr. Sergey Mikaelyan. 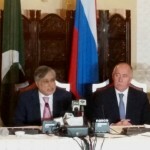 The Fourth session of the Russia-Pakistan Intergovernmental Commission was held in Islamabad. Cricket is revived in St. Petersburg. Copyright © 2019 Russia – Pakistan . All Rights Reserved.